I forgot my iPhone password how do I reset it? Did you forget your iPhone password? Well, do not panic! With this article, you will be able to reset your iPhone password quickly and with much ease. Whenever you lock the password to your iPhone or you forget the password and you cannot remember it, then you need to reset it. It is easy to reset it as there various easy ways to solve the problem. 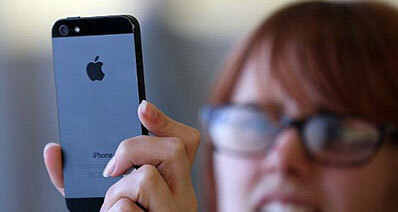 We have explained on the various ways you can reset your iPhone. Check out to see the best method to reset your iPhone in case you forget its password. The best way you can choose to reset your iPhone passcode when you remember the password is using iTunes to perform iPhone reset. Below is a step-by-step guide on how to reset your passcode without restoring your device. Step 1: you need to ensure that your iPhone is the latest version. If not, you need to update it by clicking on "iTunes" menu the hit "Check for Updates" tab. Step 2: Use a Digital USB cable to fix your iPhone device to your Mac or PC then Open “iTunes”. Some information will be displayed on your iPhone. Step 3: Next, is to restore your iPhone. Check through the Summary tab for your device and click “Restore iPhone”. Step 4: Thereafter, hit the “Restore” button to confirm then click on “Agree” to agree to the terms. Step 5: After a short while, the process of restoring your iPhone will end. Ensure that your iPhone has been restored back to its original factory settings. An iOS start-up screen will show up on your iPhone. You will have reset your iPhone and you can create a new passcode. Whenever you forget your iPhone's passcode or pin, you need to reset your iPhone to its original default settings. There are various ways that you can reset your iPhone passcode or pin when you cannot remember it. With the following ways, you are able to reset your iPhone passcode or pin when you forget it. You can use a iTunes on a computer that you had once synchronized with your iPhone since it will not ask you for a passcode. Step 1: Connect your iPhone you have synced your data with so you can backup and restore your iPhone. Step 2: Check the progress as you wait for automatic sync and backup to finish. Step 3: Under the Summary tab hit on "Restore iPhone" and wait for some few minutes for the restore process to complete. Step 4: Click on "Restore from iTunes backup" tab. You can then choose your latest backup in iTunes. Step 5: Wait for a little while for your backup to load. After it’s through, you device will have reset as new and it will clear then old password and you can set a new password. You can choose to enable Find My iPhone on your iPhone to be able to erase and restore your iPhone using iCloud. You may also reset your iPhone using iCloud as is in the following guide. Step 1: on your Mac or Windows PC, get to the iCloud website. 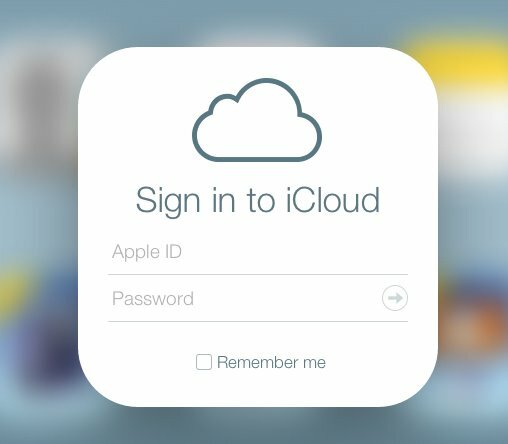 Sign in using your Apple ID and password. Step 2: At the top of your browser window, select "All Devices". 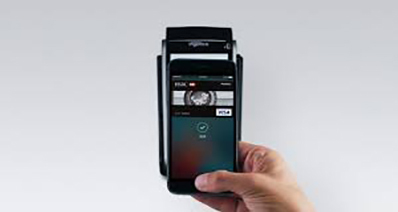 Step 3: Choose the device you want to reset. Pick on your iPhone. Step 4: Hit on "Erase iPhone". This will erase your iPhone and its' passcode. 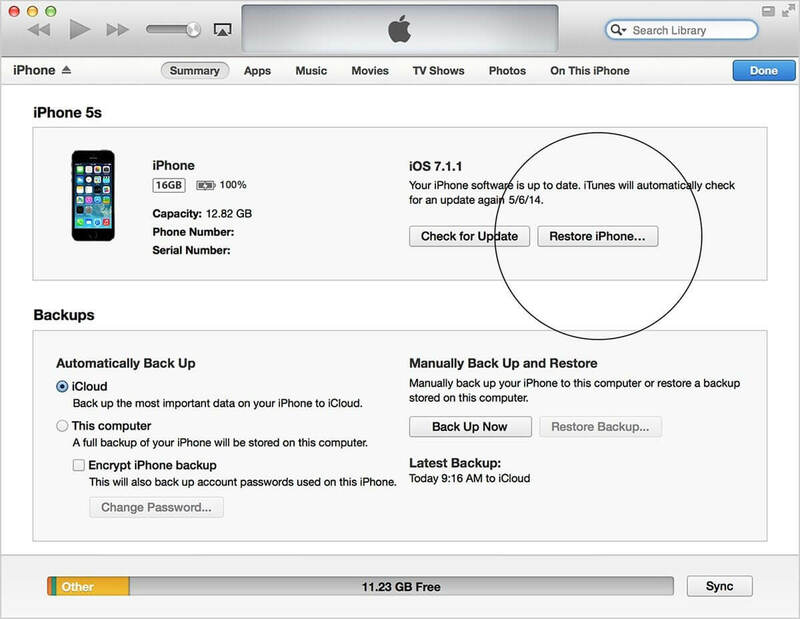 Step 5: Choose if you want to "Restore from a backup" or "set up as new". Thereafter you iPhone will reset back to its original settings and you can set a new passcode for your iPhone. You can also reset your iPhone passcode or pin through resetting your iPhone with recovery mode. Below is a step-by-step guide on how you can reset your iPhone by putting it into recovery mode. 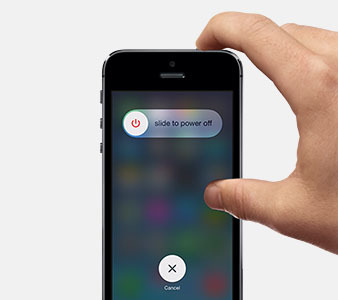 Step 1: Power off your iPhone by pressing the Power button and swiping it till it turns off. 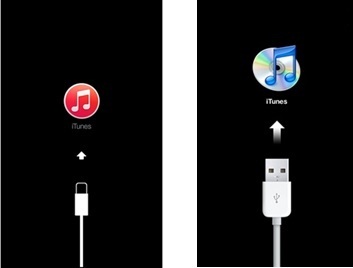 Step 2: Use a USB cable to connect your iPhone to the computer then launch iTunes on your computer. Step 3: Press and hold the Home button and fix your iPhone to the other end of the cable. Keep holding the Home button until you see a screen like the one below on your iPhone. Step 4: A message pops up telling you that your iPhone in recovery mode has been detected. Hit on "OK" in the pop-up window. Then get to summary tab and click "Restore". Your iPhone will reset to its default settings if you want to restore a backup either from iCloud or iTunes you can recover back. Whenever you forget your iPhone restriction password, you need to reset it. 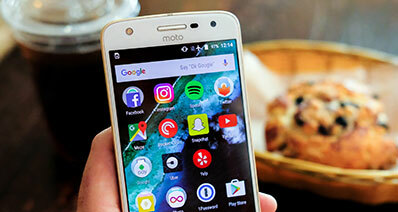 To do this, you will have to do a factory reset of your iPhone. You can reset your iPhone to its original default settings after you have backed up your data and turned off Find My Phone. 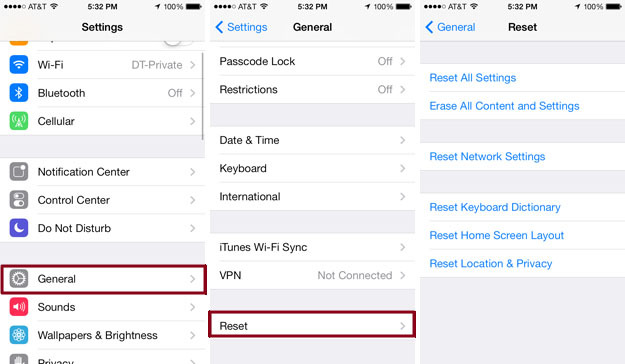 Here I detailed guide on how to reset restriction passcode on iPhone. Step 1: Click on "Settings" on the home screen of your iPhone then hit on "General". Step 2: Scroll down and click on "Reset". Step 3: On the screen that appears select "Erase All Content and Settings". Step 4: Thereafter, you are asked to enter your Apple ID Password. Step 5: Click on "Erase iPhone" from the pop-up message. It will take a few minutes before iPhone reset is complete. When it finishes your iPhone will have reset back to its default factory settings and you can set a new restrictions passcode. iSkysoft Toolbox - iOS Data Recovery software is a useful software program that is compatible with Windows and Mac OS. It is a data recovery tool that helps to restore or retrieve back deleted or lost data from iPad, iPhone and iPhone touch. It can extract data from almost all iOS devices. iSkysoft iPhone data recovery is a program that restores many files types. 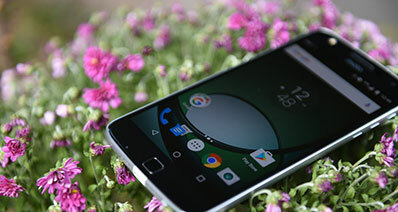 It retrieves files out of various situations such as iPhone attacked by a virus, iPhone jailbreak, damage or loss of an iPhone, accidentally deleting files from iPhone, and iPhone upgrade. It restores data with three recovery modes, which are; Recover from iTunes backup, Recover from iCloud backup and Recover from iOS Device (iOS 11 supported). 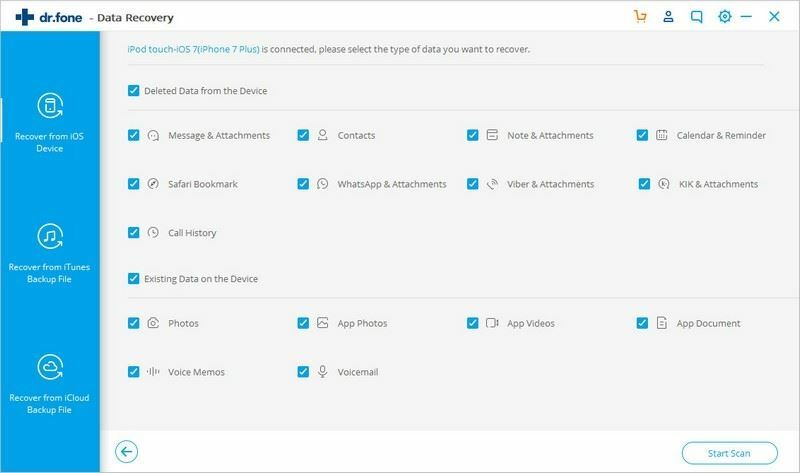 It is able to retrieve photos, notes, Safari bookmark, App video, contacts, voicemail, camera roll, App photos, videos, Messages, App documents, calendar, voice memo, reminder and call history, etc. It allows you to preview files before you can restore them.